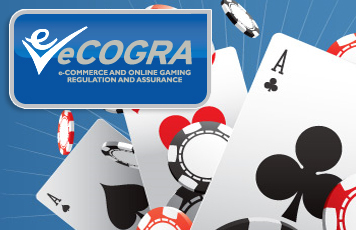 LONDON, 11 July, 2006 – Andrew Beveridge, CEO of online gambling standards and player protection body eCommerce and Online Gaming Regulation and Assurance has announced the appointment of Anders Lantz to the eCOGRA board of directors. Lantz is Chief Security Officer at turnkey online poker and casino provider Ongame e-Solutions AB in Sweden, one of the industry leading software companies supporting the eCOGRA initiative, which provides players with a better and safer gaming experience through improved operational efficiency and customer care at online poker and casinos. As a Certified Information Systems Auditor (CISA), Lantz has extensive management experience in information technology auditing, governance, compliance testing and security; financial control and system development and security. Prior to joining Ongame, he held management positions with a major management consultancy and international auditing companies. Ongame is a turnkey provider and poker network owner with the major operator PokerRoom.com as its best known subsidiary. Ongame itself was acquired earlier this year by betandwin, an Austrian publicly listed company and one of the world`s leading providers of online gaming entertainment. “The highly relevant professional experience that Anders has acquired in a brilliant career makes him a valuable asset for the IT and auditing responsibilities of the board,” Beveridge said.